The bright orange graphics are exceptional. For proponents of BDS the successful attempt to pressure the big French telecom to pull out of Israel represents a no-lose campaign. It’s very unlike the academic boycott of Israeli universities or the divestment work at mainline Protestant churches. First, it’s directed against a large and impersonal financial concern, so it’s strictly business. It does not touch upon Israeli cultural institutions or even security interests (like the attempts to target Caterpillar or Motorola or Boeing. 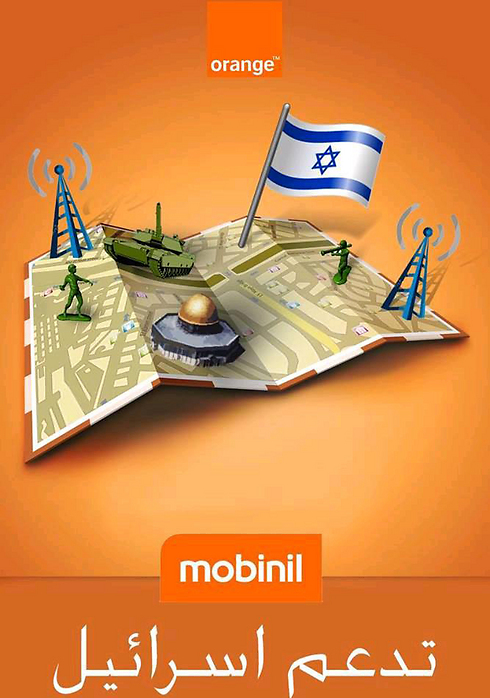 Second, it’s directed explicitly, not comprehensively at the State of Israel as such, but against the operations of the telecom in the occupied West Bank, symbolized by the Dome of the Rock. There’s a very clear line drawn, with Israel on one side and Palestine on the other, which the telecommunications towers straddle in an untenable position.